Popular Mechanics Magazine did a feature on their website about five bike builders who used non-bike equipment in their rides. That magazine has always been about doing it yourself, and they even include (reluctantly) instructions for making your own. I don't like to hoard techniques, I would prefer if people went and used my methods and improved upon them. Egophobia is a hip Romanian magazine for the surprising countercultural scene there. Because the Soviets modernized Romania when they took over, Romanians feel that the old ways are the truest to their history and culture and so steampunk is very popular. The author translated my interview into Romanian, and then back to English for the English-language version of the article. Consequently my words may be put together strangely. Check out the article here. 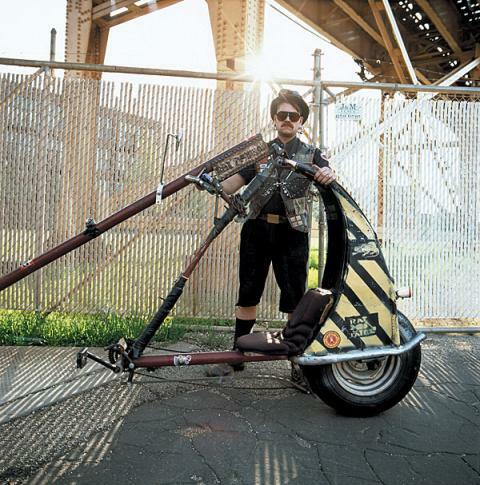 I was featured in issue five of MULE magazine alongside fellow Chicagoan Jason Bitner of FOUND Magazine. Time Out Chicago's "Bike Love"
Time Out did a piece on cyclists and how cycling affects their love life, featuring prominent local bikers. You can read the article here. Loves Me, Loves Me Not began as a whimsical comedy, but the Katrina disaster forced a frantic re-write three weeks before opening night. However, this gave the show a chance to be a reflection on what happened, making it far more powerful than it ever could have been. For such a tragic coincidence to have repercussions for a prominent theater caught the attention of the New York Times. You can read the article in the Theater section from September 15, 2005. 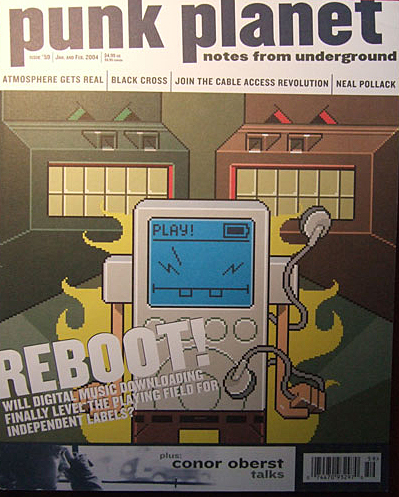 Punk Planet interviewed me for an article about the Rat Patrol in their May/June 2006 issue. 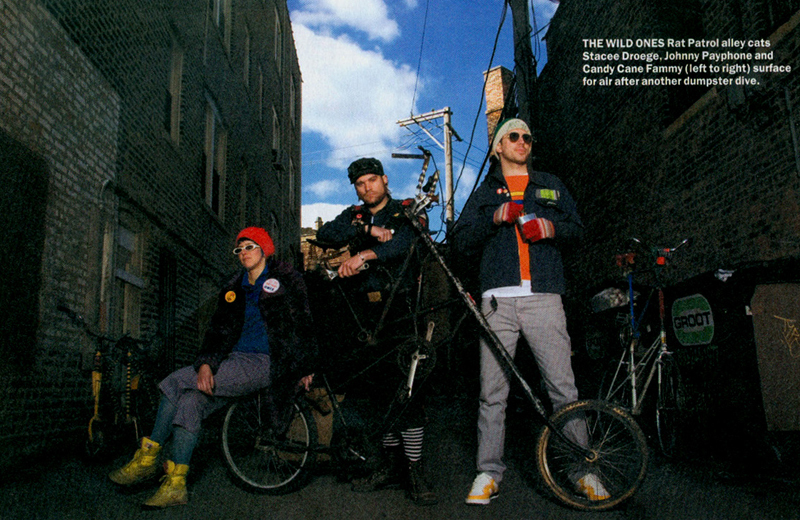 Time Out Chicago: "Chain Gangs"
Time Out Chicago featured an article in May 2005 about local bicycle clubs. 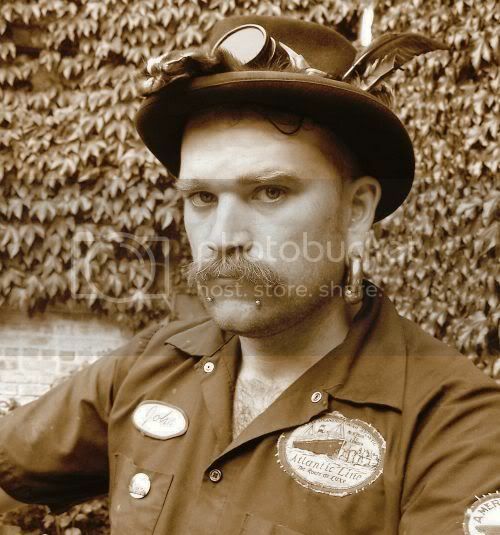 I was featured both as a member of Rat Patrol as well as The Human Television Network. See the full article in their archives. While I was in Ghana, I appeared on an episode of the televised morning talk show "Morning Show", as well as various other radio and public promotions for the project. In 2002 I was a database administrator living a relatively normal and successful life. By 2003 I had quit my job, was hanging out in a bike gang, and went to Ghana to start a bicycle project. 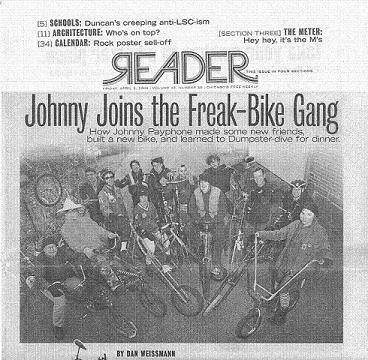 Dan Weissman wrote a Chicago Reader cover story about this transformation, titled "Johnny Joins The Freak-Bike Gang". While the article is a bit sensationalist, it does tell an interesting tale. 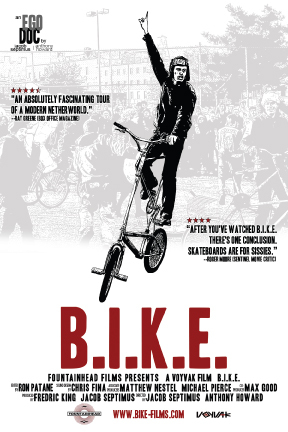 I appeared in and wrote a little for the independent film, B.I.K.E., released in 2005. The movie follows a man with addiction problems trying to join an outlaw bike club. You can see one of my clips at the movie's website. NPR's Worldview program focuses each Thursday on global activists. One week their theme was "oil dependency" and so they brought me in to talk about my efforts in getting bicycles and cargo bikes to Ghana.